Curated by George Ellis, director emeritus of the Honolulu Academy of Arts, Oceanic Art: A Celebration of Form features 97 three-dimensional works, primarily from Melanesia and Polynesia, and objects from Micronesia and Taiwan. Works on view come from three major California collections: the renowned personal collections of Valerie Franklin and Edward and Mina Smith,, as well as the extensive holdings of the Sana Art Foundation. The exhibition includes a variety of three-dimensional objects, including sculptures, traditional adornments, weapons, and objects used in everyday life. Many of these are encoded with cultural and social meanings, some of which still function within certain Oceanic cultures today. The exhibition will display the works in groups that not only allude to their original daily uses, but also provide for rich cross-examination of the variety of contexts in which these objects functioned. Oceanic Art: A Celebration of Form highlights an exceptional gathering of diverse works, including a rare, life-size sculpture from Nuku‘oro in the Caroline Islands (Micronesia), the only such figure in a private collection. Elaborate hand-carved sculptures, exquisite architectural elements, and several striking figures from New Ireland, Admiralty or Manus Islands, and a rare Easter Island (Rapa Nui) carved figures are also on view. The exhibition is accompanied by an illustrated, 128-page, scholarly catalogue written by George Ellis and published by The San Diego Museum of Art. The essay contains a current perspective on Pacific cultures, their diversity and struggles within a colonial context, and a fresh view of these traditional and contemporary arts. 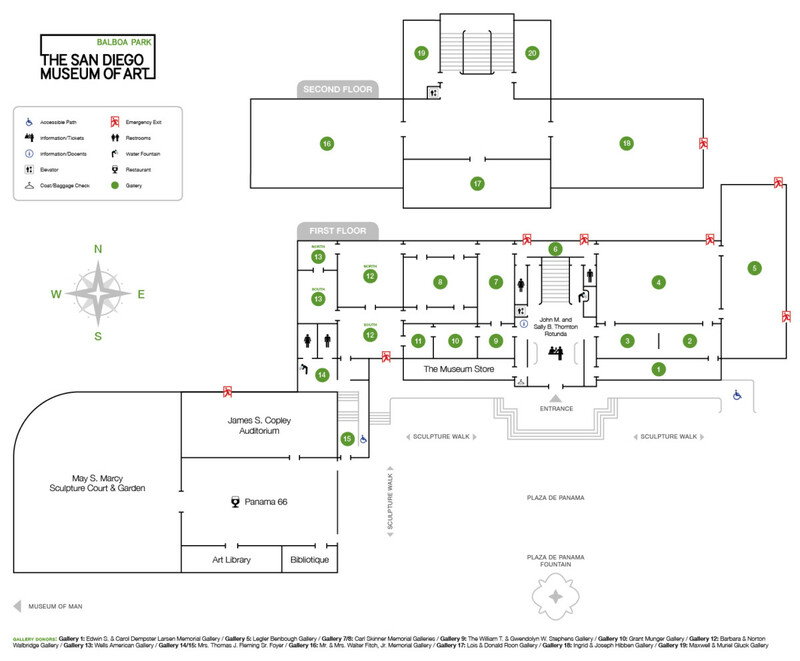 This exhibition was organized by The San Diego Museum of Art, and is generously supported by Tanya and Charles Brandes, Joan and Fredrick Nicholas, and the Ray and Wyn Ritchie Evans Foundation. Additional funding is provided by G.S. Levine Insurance Services, Inc., the City of San Diego Commission for Arts and Culture, the County of San Diego Community Enhancement Program, and members of The San Diego Museum of Art.